Hemothorax and pneumothorax are two types of lung diseases that may have a significant impact on a worker. They may occur after any sort of severe chest injury, such as those involving a collapsed lung. They typically have different causes and are treated differently. If you suffer from either of these conditions due to a workplace accident, you should retain an experienced Boston workers' compensation lawyer. Although the workers' compensation system was put in place to make it easier for workers to obtain wage replacement and medical treatment, valid claims are often rejected, and an experienced attorney may make a difference to the outcome of your claim. 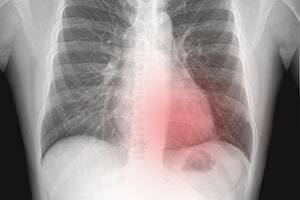 Pneumothorax is often caused by a chest injury when air from the lungs leaks into the chest walls and the space between the lungs, resulting in severe chest pain or shortness of breath. Sometimes it may heal itself, but other times, it is necessary to obtain medical treatment from a specialist physician who can insert a tube into the space where the leak is and remove it. Hemothorax is also often caused by chest trauma, but it may be a result of a blood-clotting defect or lung cancer. It exists when blood is trapped in the pleural cavity between the lungs and the chest. Physicians may remove the trapped blood by inserting a tube or by doing a thoracotomy. It is a more complicated condition than pneumothorax. There are many workers at risk of pneumothorax or hemothorax after a job-related accident. For example, construction workers who suffer a blow from a heavy object or workers who develop lung cancer due to occupational exposure to toxic chemicals may contract hemothorax. Generally, if you are an employee in Massachusetts, your only recourse is to file a workers' compensation claim with your employer's insurer. Sometimes, there may be a way to file a personal injury lawsuit against a third party, but your primary remedy is what you can get through your workers' compensation claim. The benefits that you may be able to recover, assuming that you show an adequate relationship between what happened to you on the job and your medical condition, include temporary or permanent disability benefits and medical benefits. You will qualify for disability benefits if your hemothorax or pneumothorax leave you unable to work, considering your experience, training, and age, for five nonconsecutive days. How much you will get in disability benefits depends on whether you are getting temporary total incapacity benefits, partial disability benefits, or permanent total incapacity benefits. Partial disability benefits are awarded when a worker can still work but has lost part of their earning capacity due to a medical condition. For example, using the construction accident example, if you are able to do a desk job in spite of pneumothorax but earn at a lower pay rate than you did as a foreman, you would be able to recover up to 75% of what your weekly temporary total benefits would be. Hemothorax and pneumothorax may be serious, and for most people, these are conditions that necessitate medical care. At Pulgini & Norton, our experienced Boston attorneys can advise you on claims arising out of hemothorax and pneumothorax, as well as many other medical conditions. Our firm also handles claims in New Bedford, Andover, and Lowell, among other Massachusetts cities. For a consultation with a job injury lawyer, contact us online or call us at 781-843-2200.